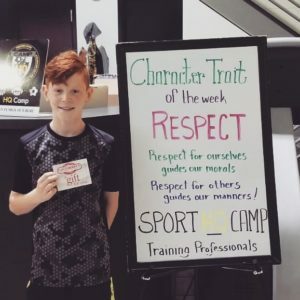 HQCamp is a sports-oriented track out and summer camp that provides opportunities for campers to play a variety of sports; soccer, basketball, lacrosse, flag football, futsal and various other active games. We start the day with physical fitness exercises and stretches. Throughout the day we provide sports instruction with the activity changing every 45 minutes. Our counselors’ focus goes beyond the game. We believe in reinforcing good behavior and teaching our campers the importance of our 6 core values. We incorporate these traits into all our programs and highlight a “camper of the week” who exemplifies this trait the most during the week. Activity changes every 45 minutes.